I can’t say that lasagna jumps to my mind as a summer food but here I am making my classic lasagna in the middle of July. One of the rules I live by during the summer months is to make things easy for myself. After all, these are the lazy days of summer, aren’t they? 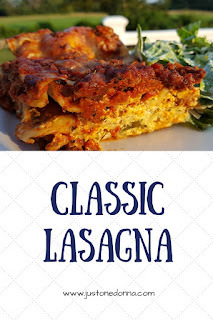 Lasagna is one of those dishes that solves many menu problems and it is for this reason, I turn to lasagna when I think of easy foods. Are you feeling like you need hearty comfort food? Lasagna, a green salad, and warm garlic bread will certainly fit the bill. Do you need to feed a group of family and friends this weekend? Lasagna, a Caesar salad, and some flavorful focaccia bread will feed a large group. Do you want to have a ready to go meal in your freezer for any occasion? A lasagna is easily reheated in your oven and ready to go when paired with a Caprese salad and warm garlic bread. Are you seeing a pattern here? Lasagna is the answer to your needs. 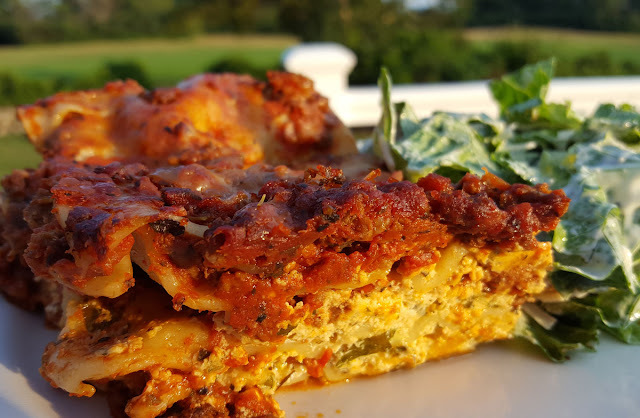 Most people love lasagna, so it is a very good option when planning a meal for a group of friends or family. 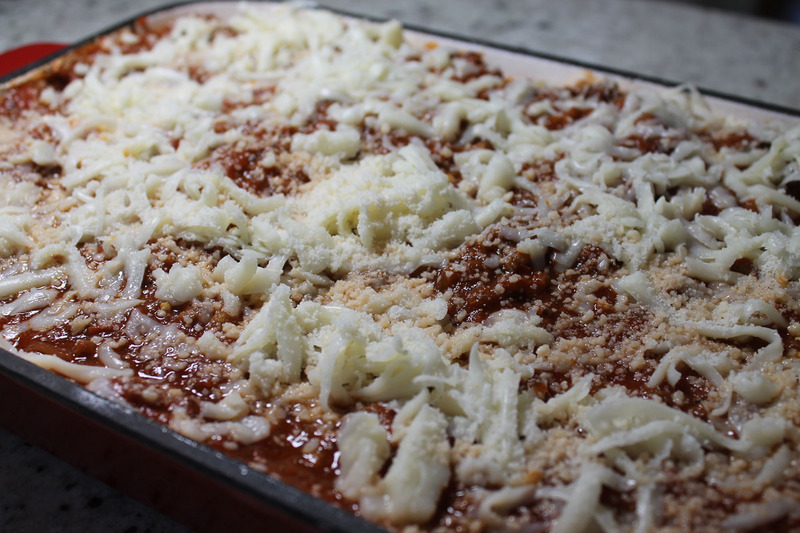 Making lasagna can feel like an overwhelming exercise, but it doesn't have to feel that way. If you plan and approach your preparation in steps, you will find it to be well worth your efforts. I’ve also started to use the lasagna noodles that don’t require precooking. I have always disliked that step of the process and the oven-ready noodles are the answer. 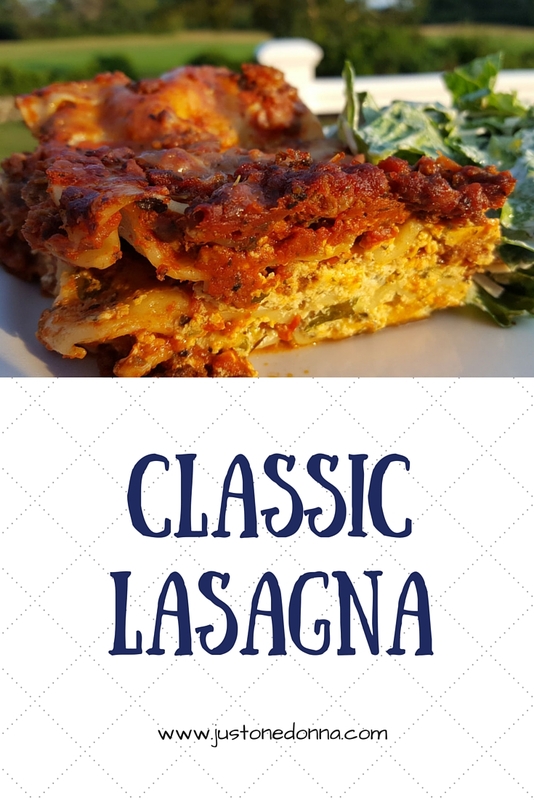 My classic lasagna recipe began many years ago...maybe 20 years ago...or more when I saw this recipe in Good Housekeeping magazine. Yes, I still have the original page from the magazine tucked away in my recipe archives. Over the years, I have made some changes, so the recipe I'm sharing with you below is an adaptation. I encourage you to make changes that will suit the tastes of your family. We like lots of seasoning, so make adjustments as you see fit. 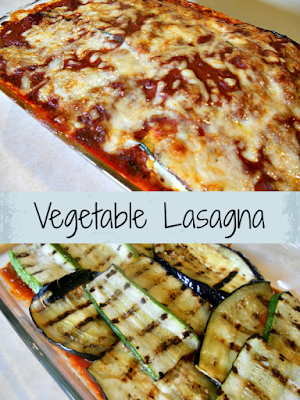 Lasagna is relatively easy to make and delicious to eat. It’s not a dish you whip together for a quick weeknight dinner. This lasagna freezes very well, so it really is a great dish to make when you have a little time and freeze for later. I love this enameled cast iron pan for my lasagna. It works perfectly when I'm going from the freezer to the oven with my lasagna. That's something I do all the time. In a 5-quart Dutch oven over medium-high heat, cook ground beef and hot sausage until all the pan juices evaporate. Add the diced onion and cook until soft. Add the garlic and cook one minute more. Your beef mixture should be well browned. This is important to the flavor of your lasagna. I like to drain my meat mixture in a colander placed over a paper towel lined pie plate. Return the meat mixture to the pan. Add the crushed tomatoes, tomato sauce, sugar, salt, bay leaf and the dried herbs, crushed between your palms. (Note: I don’t always add sugar. I taste the tomatoes to see how acidic they taste and add the sugar, if necessary.) Heat the sauce to boiling, reduce heat, cover and simmer for 30 minutes, stirring occasionally. Taste for seasoning and make adjustments. Discard the bay leaf and remove from heat. Prepare your lasagna noodles as the package directs. Put a thin layer of sauce in the bottom of a 13 x 9-inch heavy pan. If using traditional lasagna noodles, arrange four noodles in the pan, overlapping to fit. For oven-ready noodles, use three. Combine the eggs, ricotta cheese, and chopped parsley. Spoon 1/3 of the ricotta mixture over the noodles, spreading thinly. I use either a spoon or an offset spatula to spread the layers. Top with 1/4 of the mozzarella cheese, a sprinkle of the Parmesan cheese and 1/4 of the sauce. Repeat two more times. Finish with a layer of noodles, sauce and then cheese. Cover the prepared lasagna with plastic wrap and then aluminum foil. Let is cool on your counter and then either refrigerate or freeze until ready to bake. Bake the lasagna in a 375°F oven for 45 minutes or until bubbly and heated through. Remove from the oven and let stand at least 20 minutes before serving. Makes 8-12 dinner servings. Lasagna makes my life easier any time of year. Make it. Freeze it. You'll be happy you did! You might like to try this lasagna that uses eggplant and zucchini slices in place of lasagna noodles. It's very a yummy way to use those summer vegetables. I love to see old recipe cards with the handwritten recipes, Genevieve. We won't have that anymore if everything is digital. That will be a shame! I know what you mean about the sugar. I try to leave it out as often as I can, but sometimes the tomatoes are just too acidic. It is totally your choice with this recipe. Make it your own.